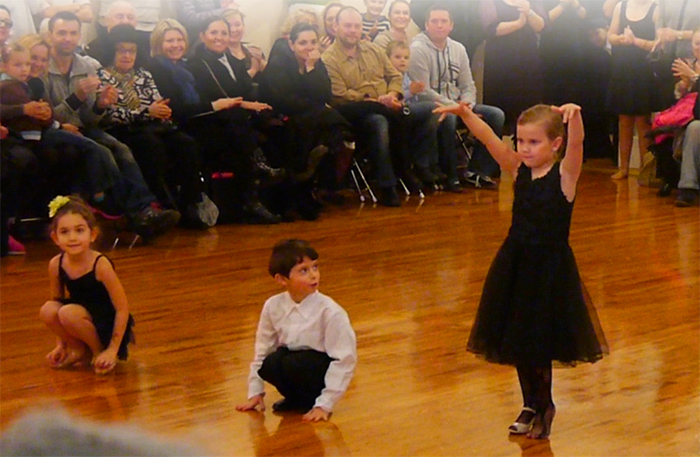 Our confident young dancers stole the show with their charismatic Cha Cha and Rumba performance. The kids confidently show of their solid technique and partnering. Their performance put on smiles everyone’s faces. Here, Dmitri Timokhin and Anna Bezikova charm us with their Cha-Cha at the Latin Dancesport Championships in 2001. Here’s a couple we haven’t seen in a while! Armen and Nicole are former students of Eugene and Maria’s and this Cha-Cha is just a tease from their show-stopping performances that earned them the crown as Two-time Junior Latin National Champions.